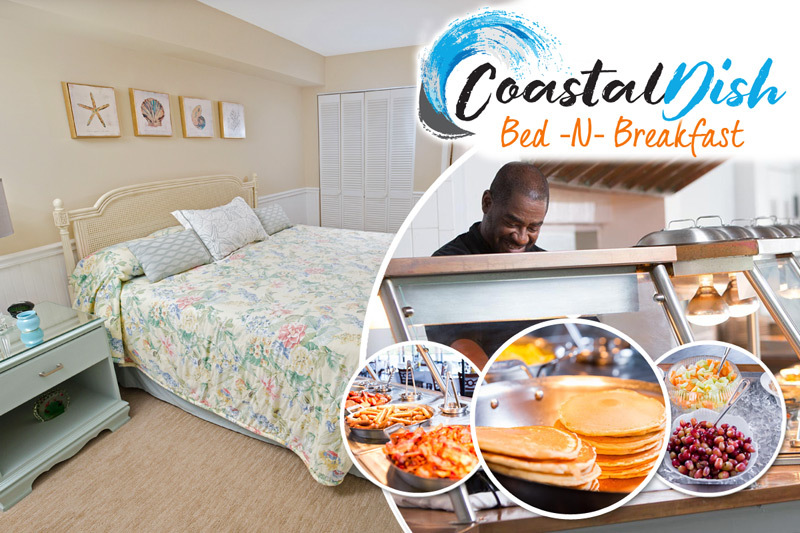 Myrtle Beach is known for many things, some of which include the Grand Strand's beautiful golf courses, divine dining, and endless shopping experiences. However, beyond those delightful segments of Myrtle Beach, the city is also home to many award-winning dinner and theatre shows. One of the most popular and spectacular stage performance locales along the Grand Strand is The Palace Theatre, located off of Highway 17, adjacent to Broadway at the Beach. Housed in a gorgeous, rotunda-styled building, with sky-high columns and an inviting stairway entrance, The Palace Theatre was voted 2014 WINNER for Best Live Entertainment Theater by Carolina Forest Readers Choice Awards. The Palace Theatre features a sprawling stage, with thousands of comfortable seats for your viewing pleasure. Although the acts may change from season to season, there is never a dull moment at one of The Palace's shows. Currently, the theatre plays host to Cirque Extreme, which runs until October 1. 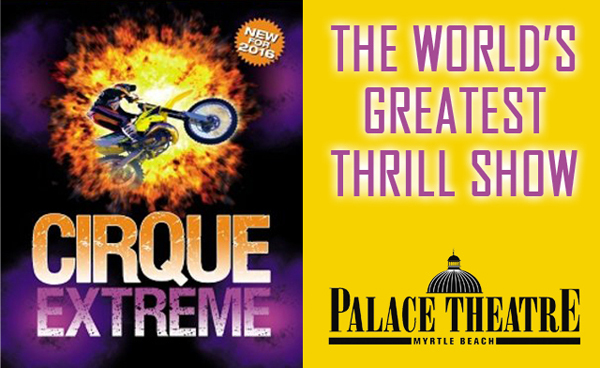 The 2016 Cirque Extreme Show is a heart-pounding show that is sure to thrill with its magnificent and daring feats, performed by the most dangerous and mind-closing circus performers. If you've heard of the Cirque shows before, then you already know how extreme the gravity-defying acts can get. With this new show, those acts only get more intense! Some of these amazing feats of grandeur include the Globe of Death, in which motorbike daredevils risk injury and death as they hurtle inside the globe at speeds of 60 mph. Pushing the limits even further is the Wheel of Destiny, in which world class acrobatic stuntmen throwing themselves across the stage as the big wheel hurtles out of control. The Cirque Extreme is truly not to be missed. On October 8, 2016 at 8 pm, take advantage of the opportunity to see infamous comedian, Ron White, known for his hilarious and envelope-pushing routines. Previously a member of Jeff Foxworthy's Blue Collar Comedy Tour, White will grace the Grand Strand with his comedy chops from the stage of the fabulous Palace Theatre. Don't miss your chance to laugh along to the jokes and stories of this Grammy-nominated artist. Finally, The Palace Theatre never disappoints during the holiday season. Beginning on November 1 and running until December 30, the 2016 Christmas Wonderland Show will take place Monday through Saturday and feature glittering costumes, gorgeous Christmas Songs and the highest kicking chorus girls this side of the North Pole! Keep your eyes out for Santa and his elves, who use a little Christmas magic to lower the world's largest floating pond straight onto the Palace stage! This show offers up singing, dancing, and even ice-skating for the entire family! Make a point to check out The Palace Theatre during your next stay in Myrtle Beach.